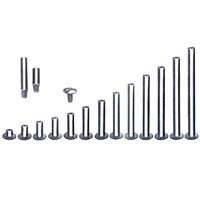 Chicago screw binding posts are made of aluminum and come in a variety of lengths. Suitable for binding reports and all kinds of book projects. This package of six is 1-1/4 inch length.